Alcoholism. Child Abuse. Divorce. Gluttony. Abortion. Homosexuality. Sexual Addictions. Is there a place to begin again? No one can go back to the starting line in the race of life. What's done, is done. But we are not tied to our past mistakes. 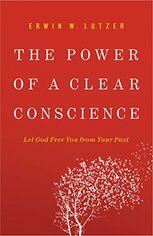 By following God's instructions and allowing Him to salve our wounds, we can be freed from the weight of guilt, regret, and bitter heartache. 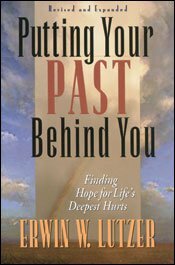 In Putting Your Past Behind You, Dr. Lutzer explains what the Bible says about God's role in the process of separating hurting and discouraged people from their pasts. 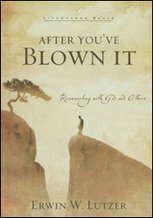 Come to understand that your trial, addiction, or injustice is not uncommon to man. You aren't facing your hurt alone. God is faithfully standing ready to help, and He almost always uses His people to share in His work of restoration and healing. Many others have struggled with the pain you are feeling. And many have traveled beyond the pain to become blessed servants of Christ. Others have put a past just like yours behind them; so can you.